To those expressing shock at Jeff Bezos’ extraordinary accusation of extortion by the National Enquirer’s owner American Media Inc., I can only say — get a clue. 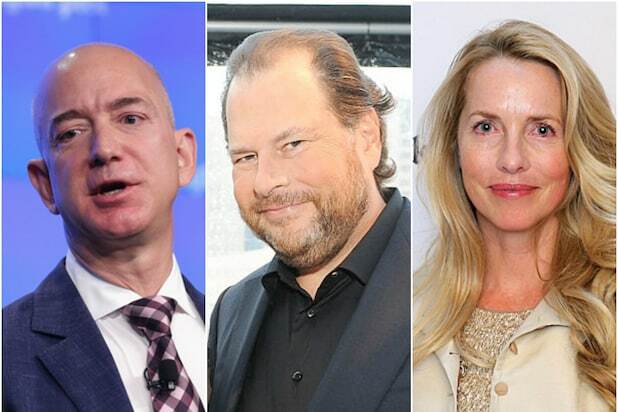 What’s shocking is that the Amazon billionaire had the guts to expose a well-worn practice of journalistic blackmail by a publication untethered by ethics. And what’s even more shocking is that AMI would have the chutzpah to put all this in writing and stamp it with the imprimatur of editor Dylan Howard on one document and AMI lawyer Jon Fine on another while the company is under a binding agreement with federal authorities to keep their noses clean as cooperating witnesses in the Michael Cohen case. The fact that they did so anyway gives you some sense of how accustomed The National Enquirer is to this kind of “negotiation” — leveraging secrets to help allies, catch-and-killing salacious stories, paying for information and mixing business with journalism, a term I use in this case ironically. • In Schwarzenegger’s case, as deeply reported by Anne Louise Bardach, the secret deal to kill evidence of the then-gubernatorial candidate’s past sexual exploits resulted in the “Terminator” star appearing on the cover of an AMI-owned health magazine. Arnold won the election, you may recall. • Harvey Weinstein exchanged emails with editor Howard in which the disgraced mogul asked for help to punish his enemies, a story of mutual back-scratching detailed in the New York Times. Weinstein struck business deals with AMI to develop television and movies as an inducement for the publication to be on his team. An uncooperative billionaire, a power-drunk tabloid, the president and the independent counsel’s investigation — this is a complexification that Hollywood couldn’t make up. Now the feds are investigating whether this violates AMI’s plea deal in the Cohen case — ratcheting up the pressure as another potential headache for the White House. • Why was AMI so intent on getting Bezos to assert that their reporting on his affair had no political agenda? 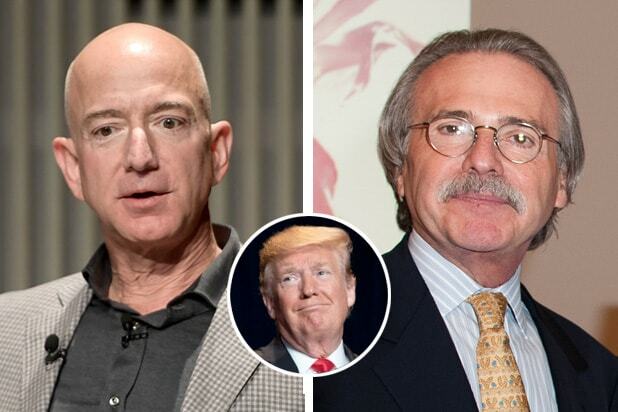 • Why is AMI chief David Pecker still protecting Donald Trump even though he’s in political jeopardy himself over the apparent McDougal cover-up? This does not even get into the speculative mess involving The Washington Post’s persistent reporting on the murder of Saudi journalist Jamal Khashoggi, which Bezos referenced in his Medium post on Thursday, and why AMI would want to help Saudi Arabia by embarrassing the Post’s owner. Here’s how this feels like extortion: I threaten to publish a damaging fact about you unless you tell me damaging facts about another person. Or, as that ethical line slips, other demands are made. Today Bezos’ refusal to play the game — and to go public about it — has triggered a federal investigation, all because we have a president who dances with the tabloid devil.